Everyone worries once in a while, but when worry becomes overwhelming something else is going on. Unfortunately, even loved ones might not understand why you are anxious. You might not even understand what causes your anxiety. Anxiety does not have to control your life. 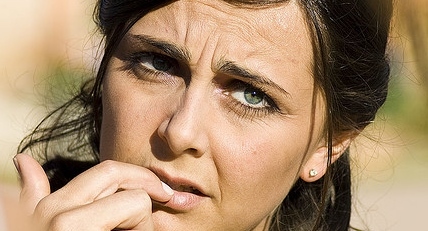 If your worry is intense, persistent and excessive then you could have an anxiety disorder. Even everyday situations can worry you. Perhaps you’ve experienced panic attacks which are short episodes of extreme fear or even terror. Let’s look at the possible causes of anxiety, both medical and spiritual. What medical conditions can cause anxiety disorders? In most cases, the exact cause is not clear. Life circumstances can contribute to the problem, and anxiety can even run in families. A past history of trauma or abuse can also be linked to anxiety disorders. Everybody has things that they worry about, the difference with anxiety disorders is that the worry becomes disabling. What about spiritual causes of anxiety? There are some cases in which your anxiety can be influenced by spiritual or spiritually related factors. For example, if your mother worried a lot when she was pregnant with you, then you might also have trouble with anxiety. In this case, a biological component also plays a role. Remember, you were exposed to all your mom’s stress and hormones during the nine months in her womb. Other causes of anxiety are almost purely spiritual. Maybe you are mad at God. Or maybe you feel rejected, ignored or condemned by him. Perhaps you need to forgive or ask for forgiveness. Being in a state of sin or participating in sinful activity is also a common spiritual cause of anxiety. There could even an influence of demonic spirits causing or worsening your anxiety. These things can only be detected by taking a thorough spiritual history, not just a conventional medical/psychological history. Remember, God does not want to condemn you. He wants to free you. In every case of anxiety, it’s important to identify the cause. Any underlying medical illness, such as hyperthyrodism (overactive thyroid gland), should be detected and treated by a qualified healthcare practitioner. Unfortunately, those in health care often do not take into account spiritual factors in diagnosing and treating anxiety. The are many potential causes of anxiety disorder. In some cases spiritual, medical and/or psychological components overlap. Want to be kept up to date with more info about anxiety? Then subscribe to our blog today.